Founder Ted Shawn sprucing up the Pillow. The 82nd Festival season will feature more than 52 companies performing on three stages: the historic Ted Shawn Theatre; the intimate Doris Duke Theatre; and the open-air Henry J. Leir Stage, home to the Pillow’s free Inside/Out Performance Series, which served more than 21,000 community members last season. More than 350 free and ticketed dance performances, talks, tours, exhibits, films, classes, and community events will be offered June 14-August 24, 2014. The 2014 Festival companies hail from Australia, Brazil, China, Italy, and across the U.S. Festival 2014 world premieres include As I Remember It by legendary performer Carmen de Lavallade; a new show by tap artist and 2013 Jacob’s Pillow Dance Award winner Michelle Dorrance; and Chalk and Soot, a collaboration between choreographer John Heginbotham and composer Colin Jacobsen, with live music performed by Brooklyn Rider. Exclusive presentations include Unreal Hip-Hop, a mixed bill of some of today’s most innovative hip-hop artists including Storyboard P, Decadancetheatre, Ephrat Asherie, and The Wondertwins; Ballet 2014, featuring principal dancers and soloists of New York City Ballet, directed by Daniel Ulbricht; and a weeklong “festival within the Festival” honoring choreographer Mark Morris and his company. Other special engagements include Compagnia T.P.O., from Italy, with the family-friendly interactive production Bleu! ; Trey McIntyre Project performing Mercury Half-Life, set entirely to the music of rock band Queen and a new work inspired by the work of writer and illustrator Edward Gorey; and the Pacific Northwest Ballet. The School at Jacob’s Pillow is equally international and varied in scope in 2014. Pre-professional dancers from around the world will audition for rigorous, often career-changing programs in Ballet, Tap, Contemporary, and Jazz/Musical Theatre Dance. Artist faculty and program directors include esteemed ballet master teacher and coach Anna-Marie Holmes;principal dancer with American Ballet Theatre, Maxim Beloserkovsky; Madeleine Onne, former dancer with the Royal Swedish Ballet and current Artistic Director of The Hong Kong Ballet; top tap artists Michelle Dorrance, Jason Samuels Smith, and Dianne Walker;master teacher Milton Myers; Broadway choreographer and director Chet Walker, and many others. Prior to the Festival, Jacob’s Pillow and MASS MoCA will co-present David Neumann: Solo Works on April 26 at MASS MoCA. Crossing the lines between dance and theatre, performer and audience, Neumann will present a series of wry, witty works that span his 20-year career. Tickets available at massmoca.org. Select Festival artist descriptions include links to supplemental video clips within Jacob’s Pillow Dance Interactive, featuring past Jacob’s Pillow performances. Additional Festival 2014 artist information and preview videos can be found at jacobspillow.org. Carmen de Lavallade serves as Honorary Co-Chair for the 2014 Gala and will dance as part of the Gala performance. Members of The Hong Kong Ballet will also perform at the Gala. Dancers of the Ballet Program of The School at Jacob’s Pillow will present a world premiere created on them in four days by Jessica Lang, whose company Jessica Lang Dance made its official company debut at the Pillow in 2012. Additional performers will be announced. This signature fundraising event also includes the presentation of the 2014 Jacob’s Pillow Dance Award, dinner by The Old Inn & Moore, a live auction, and dancing. Following its 2012 American debut at Jacob’s Pillow, The Hong Kong Ballet returns with sleek elegance, technical precision, and a range of contemporary ballets. Directed by Madeleine Onne, former Artistic Director of The Royal Swedish Ballet, the company performs a varied program that includes Polish choreographer Krzysztof Pastor’s In Light and Shadow, set to Johann Sebastian Bach’s “Goldberg Variations” and “Orchestral Suite in D Major No. 3”. The company’s male dancers will present Nacho Duato’s commanding 2002 work Castrati, which explores themes of masculinity and sacrifice to the music of Antonio Vivaldi and Karl Jenkins. A poetic trio from A Room of Her Own, by National Ballet of China resident choreographer Fei Bo, closes the program. Carmen de Lavallade’s unparalleled career as a dancer, choreographer, and stage and film actress spans six-decades working with luminaries such as Lena Horne, Josephine Baker, Harry Belafonte, Alvin Ailey, and many others. She holds the distinction of the longest Pillow performing career on record, having made her Jacob's Pillow debut with Lester Horton Dance Theatre in 1953 and performing at the Festival as recently as 2004 (with Paradigm). In the world premiere of her new solo show, As I Remember It, de Lavallade combines poignant movement and storytelling to weave a theatrical memoir about her venerable life on stage. Limited engagement, only three performances. Executive and Artistic Director Ella Baff brings together some of hip-hop’s most innovative dancemakers for this new, Pillow-exclusive production. Unreal Hip-Hop features the diverse styles of all-female crew Decadancetheatre, b-girl Ephrat “Bounce” Asherie, freestyle and pop ‘n’ lock duo The Wondertwins, and street dancer turned international star Storyboard P. Directed by Jennifer Weber, Brooklyn-based Decadancetheatre performs “4”, its interpretation of Vivaldi’s “Four Seasons.” Boston-based identical twin brothers Billy and Bobby McClain, The Wondertwins, have toured the world with the likes of Bobby Brown, won Amateur Night at The Apollo six times, and performed at numerous international festivals and conventions with their rapid-fire pop ‘n’ lock style. Asherie, called “fiercely talented” by Siobhan Burke of The New York Times, performs a selection of acclaimed solos, including one set to the signature James Brown song “It’s a Man’s Man’s Man’s World.” The astounding Storyboard P has worked with Jay Z, Beyoncé, and Marina Abramovic, and in a recent profile in The New Yorker Jonah Weiner describes him as “a star of flex, a form of street dance characterized by jarring feats of contortion, pantomime, and footwork that simulates levitation”. These artists come together for an exclusive show, to be seen only at the Pillow. The popular Chicago-based contemporary company returns to the Festival for the first time since 2010, bringing a sensational variedâ€¨program.Directed by Glenn Edgerton, the 16-member company performs the dramatic Mediterranean-inspired work Gnawa, choreographed by Nacho Duato. The program also includes JiÅ™í Kylián’s vivid Falling Angels, a stark all-female work created for Nederlands Dans Theatre in 1989 and danced to “Drumming” by contemporary composer Steve Reich. PACOPEPEPLUTO, by Hubbard Street company member and resident choreographer Alejandro Cerrudo, closes the show with a trio for three male dancers set to the sweet songs of Dean Martin and “rich in circular turns, jumps and dashing Olympian form” (Sid Smith of The Chicago Tribune). Seven show engagement. From Italy, the innovative theatre company Compagnia T.P.O. presents Bleu!, a wondrous interactive productionfor children and the young at heart. Directed by David Venturini and Francesco Gandi, T.P.O. invites audiences to a journey under the sea with this spectacle of light, animation, and movement. Through immersive technology and imaginative set design, Bleu! explores a mythical world of sea creatures and ancient legends. Audiences of all ages are invited onstage to engage with the dancers and the motion-sensored set, or they can choose to sit back and enjoy the adventure. Expanded ten-show engagement, $10 Youth Tickets for all shows (must be accompanied by an adult ticket). General admission. Since the company gave its first professional performance at Jacob’s Pillow in 1970, Dance Theatre of Harlem and the Pillow have enjoyed a deep artistic relationship. Following a successful opening week of Festival 2013, DTH returns with an all-new program, led by Artistic Director and founding company member Virginia Johnson. The company performs Past-Cary-Forward, created for DTH by Tanya Wideman and Thaddeus Davis, which captures the design, significance, and spirit of the Harlem Renaissance. Donald Byrd’s contemporary ballet Contested Space features a plethora of solos and duets packed with smooth shape shifting and flexibility. The centerpiece of this dynamic evening is the late choreographer Ulysses Dove’s moving, elegiac ballet Dancing on the Front Porch of Heaven, danced to “Cantus in Memory of Benjamin Britten” by Arvo Pärt. Seven show engagement. Inspired by Zora Neale Hurston’s book Moses, Man of the Mountain as well as cultural explorations in Israel, Egypt, and Turkey, choreographer Reggie Wilson’s latest work Moses(es) takes audiences ona captivating journey. Wilson’s precise, energetic fusion of modern and African dance is remarkable; Brian Seibert of The New York Times comments, “The dance vocabulary is rich: wide squats, jumps that spin and kick, Egyptian poses, arms rippling like bulrushes, heavy steps.” The choreography is married to a diverse score, arranged by Wilson, which includes music by Louis Armstrong, The Klezmatics, Amahlokohloko, Ngqoko Women's Ensemble, MaZarher, Aly-Us, Tiger, Bi Kidude, Southern Sons, The Blind Boys of Alabama, and traditional African-American spirituals “Wade In the Water” and “Eli, Eli (Somebody Call Eli)” sung live by the artists of Fist & Heel Performance Group. This exclusive presentation offers a rare opportunity to experience some of today’s most elite ballet dancers in the intimate 620-seat Ted Shawn Theatre. Principal dancer Daniel Ulbricht directs and performs with a select ensemble of top New York City Ballet stars including Tyler Angle, Craig Hall, Robert Fairchild, Rebecca Krohn, Tiler Peck, Georgina Pazcoguin, Teresa Reichlen, and others. The program is equally impressive, including Christopher Wheeldon’s Liturgy, danced to Arvo Pärt’s ”Fratres;” Two Hearts, a collaboration between Benjamin Millepied and composer Nico Muhly; Furiant created by NYCB Soloist Justin Peck; Sunshine, a solo for Ulbricht by choreographer Larry Keigwin; a world premiere duet by Emery LeCrone; and the classic Fancy Free, the first ballet created by Jerome Robbins and Leonard Bernstein in 1944, which subsequently inspired the full-length musical On The Town. Cast subject to change. Michelle Dorrance, widely acknowledged as one of today’s most accomplished tap artists, is an award-winning dancer, choreographer, musician, and director. In 2013 she was honored with the Jacob’s Pillow Dance Award, performed at the Pillow’s Season Opening Gala, and, along with composer and musician Toshi Reagon, presented the world premiere of The Blues Project to sold-out houses. This season, Dorrance Dance premieres a collaborative new show featuring b-girl Ephrat “Bounce” Asherie; innovative tap dance instruments created by STOMP and Dorrance Dance member Nicholas Young; and live musicby the sensational vocalist Aaron Marcellus. 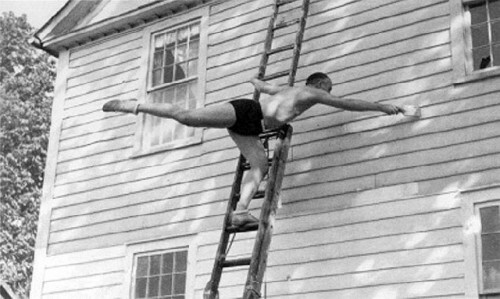 Dorrance will also serve as director for The School at Jacob’s Pillow’s 2014 Tap Program, June 23-July 6. Two-week run. Mark Morris is celebrated for his deep, witty, poetic, brazen, joyful dances and an abiding commitment to live music. This July, the Pillow celebrates Morris and his company with a weeklong “festival within the Festival”, featuring talks, a concert by the MMDG Music Ensemble, music seminars and Mark Morris repertory taught in The School at Jacob’s Pillow, and an exclusive seven-show engagement. Each performance in the Ted Shawn Theatre includes Festival Dance, which prompted Robert Gottlieb of The New York Observer to proclaim, “it's charming, it's exhilarating, it's unexpected”; A Wooden Tree, set to words and music by Ivor Cutler; Crosswalk,one of Morris’s newest works; and the gorgeous duet Jenn and Spencer, all accompanied by live music. A special MMDG Music Ensemble concert will take place in the Ted Shawn Theatre, Sunday July 27 at 11am; tickets $15 for general admission. In the world premiere of Chalk and Soot, choreographer John Heginbotham, Artistic Director of Dance Heginbotham, and violinist and composer Colin Jacobsen, “one of the most interesting figures on the classical music scene” (Washington Post), combine their unique artistic forces. Inspired by Vasily Kandinsky's book of poems Sounds, this evening-length premiere features imaginative, theatrical choreography; live music performed by superstar string quartet Brooklyn Rider; and the vocal styling of Shara Worden, the acclaimed singer-songwriter and founder of indie-pop group My Brightest Diamond. Under the direction of former New York City Ballet principal Peter Boal, one of America’s top ballet companiesmakes a rare East Coast appearance. The company’s program includes British choreographer David Dawson’s exuberant A Million Kisses to My Skin and Nacho Duato’s Rassemblement, inspired by and danced to the music of Haitian singer Toto Bissainthe. The remarkableTwyla Tharp’s Scottish-inspired Brief Fling, originally created for American Ballet Theatre in 1990, “openly contrasts the ballet vocabulary…with her own spiraling, slouching modern-dance idiom” (Anna Kisselgoff, The New York Times). Victoria Looseleaf of The Los Angeles Times calls choreographer David Roussève’s latest contemporary dance-theatre work Stardust, “a transcendent coming of age tale.” In this 80-minute work, the exceptional performers of David Roussève/REALITY explore the world of a young, gay, African-American man through arresting choreography; video projections including unanswered texts; original musicby composer d. Sabela grimes; and classic songs interpreted by Ella Fitzgerald, Nat King Cole, and Johnny Mathis. Poignant, riveting, and challenging, Stardust depicts a moving portrait of the struggle for love and acceptance. Roslyn Sulcas of The New York Times calls Doug Elkins “one of the most musical, witty and inventive choreographers of his generation.” Following two sold-out Festival runs of Doug Elkins and Friends’ Fräulein Maria, a beloved re-imagining of the classic film The Sound of Music, the witty choreographer returns with new works. Mo(or)town/Redux explores Shakespearean themes of power, love, jealousy, and betrayal to a Motown-inspired soundtrack. Hapless Bizarre offers a cheeky mash-up of physical comedy, dance, and romance, performed by a merry band of dancers and one vaudevillian clown. The delightfully eclectic score includes music by the Swedish electronic jazz duo Koop, remixes and samples of 1950's dating etiquette videos and more. Member Pre-Sale: Tickets go on sale to Jacob’s Pillow Members as early as January 13, 2014, depending on Member level. A detailed ordering calendar can be found on jacobspillow.org. As part of the Member Pre-Sale, Jacob’s Pillow Members will save $10 on every Ted Shawn Theatre ticket purchased by March 15. 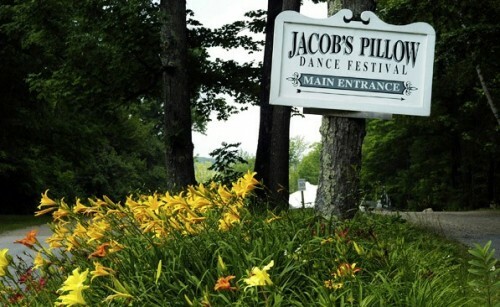 To become a Pillow Member, call 413.243.9919 or visit jacobspillow.org/membership. Festival 2014 Tickets: Subscription packages of five or more performances go on sale to the public March 17, 2014 and single tickets for Festival 2014 go on public sale April 1, 2014. Box Office: 413.243.0745 and jacobspillow.org. Full Schedule Including 200+ Free Events: Further programming announcements will be made in April for more than 200 free events, including Inside/Out performances, PillowTalks, and exclusive exhibits. For ticketing or schedule questions, call the Box Office at 413.243.0745.